In recent years, approximately 400-500 North Korean defectors have settled in New Malden, south-west London, living alongside a substantial and established community of over 10,000 South Korean immigrants. A significant number of North Koreans decide to move to New Malden, London, where there is an established South Korean community, as English language barriers prevent them from settling elsewhere. Indeed, within New Malden, an ‘ethnic economy’ has developed consisting of various Korean shops, restaurants, real estates, churches and Korean schools, enabling North Korean defectors to find work and settle in an unfamiliar western society more easily. North Koreans in New Malden seemed to identify themselves as defectors in order to distinguish themselves from the South Korean community and also to demonstrate the strong disagreement with the state of North Korea. Even though South and North Koreans are ethnically homogenous and share a language, they have established parallel societies in New Malden, developing two separate associations called Korean Residents Society and North Korean Residents Society in UK respectively. Similarly, while North and South Koreans often work in the same businesses in New Malden, economic relationships are stratified such that South Koreans are generally employers and North Koreans employees. These two communities seemed to be economically and culturally stratified in New Malden, hindering emotional and psychological integration among this Korean community. Recently, moves have been made to attempt to build bridges and increase interactions. Through in-depth interviews, it is found out that North Koreans living in London semi-strategically negotiate their identity throughout the interactions with South Koreans, North Koreans and non-Koreans in New Malden. They emphasise united Korean identity, sometimes minimise and deny North Korean identity and adopt South Korean identity, and strengthen North Korean identity. Not only different groups of individuals adopt contrasting strategies, but also each participant in this research featured a mix of these three identity-styles, with each type coming to the force according to the situation. It was not uncommon for North Koreans in New Malden to emphasise a pan-Korean identity during the interviews. This is not surprising in light of the shared history, ethnicity and language among Koreans. North Koreans in New Malden have been leveraging this shared language and identity for the potential economic benefits associated with it, particularly in terms of employment opportunities in New Malden. Beyond drawing on this shared Korean identity, participants stated that some of the North Koreans in London identify themselves as just “Korean” or “South Korean” rather than North Koreans. When considering the fact that “Korean” generally refers to only South Koreans in New Malden society, this demonstrates that a substantial number of North Koreans try to avoid being recognised as North Koreans. Even one of the research participants with strong North Korean identity said that he told his children to introduce themselves as “Koreans” instead of “North Koreans.” Moreover, during the interviews the research participants spoke in South Korean accent, sometimes using newly coined South Korean slang words, subtly demonstrating their adoption of a South Korean identity in certain situations. At the same time, however, the North Korean community has been working to instil North Korean identity among North Koreans in New Malden and has worked to distinguish themselves from the dominant South Korean community. 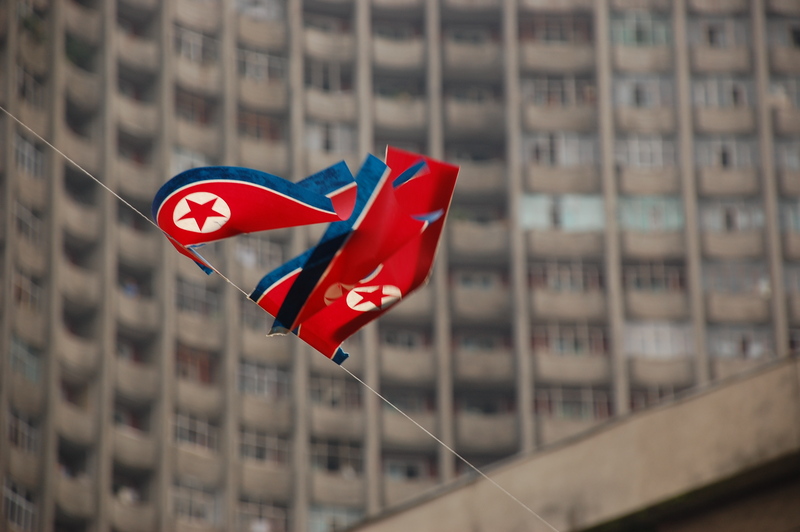 In doing so, participants particularly defined their identity in opposition to the popular image of North Korea disseminated in Western and South Korean media. They emphasised their rich culture, long history, as well as their personal relationships and positive experiences in North Korea, with participants emphasising these dimensions in explicit opposition to depictions of North Korea in western media which focuses on state leadership. This identity negotiation of North Korean defectors in London appears to have derived from their relationships and interactions with South Koreans, North Koreans and non-Koreans in New Malden, London. Relationships with South Koreans showed benevolence and tension existing simultaneously, with participants’ experiences finding South Koreans to be benevolent and helpful, but at the same time discriminative. The research participants emphasised that they received significant help from South Koreans such as in translation, looking for jobs, and getting information. However, as South and North Koreans in New Malden are stratified in terms of economic capital, educational level and social status, emotional and psychological ties between these two communities seemed to be out of reach. Interactions with other North Korean people in New Malden seemed not only to recreate family feeling and sharing sadness of family separation that most of North Korean defectors had experienced, but also to deconstruct stratified economic and social relationship with South Koreans. The North Korean community in New Malden has worked actively to cultivate a proud North Korean identity, most recently establishing a school called ‘Hankyorae-school’ apart from the existing South Korean school in order to teach Korean language and instil North Korean identity in second generation North Korean migrants. In further moves to deconstruct the stratified power relationship between North and South Koreans in London, the North Korean association has also established a new organisation to help North Koreans with translation, reading letters, language learning and house contract, so that they no longer depend on South Korean community for help, working to enable North Korean residents in London to achieve more positive, empowered feelings about their community. Interestingly, North Korean defectors in London appear to only rarely have interactions with non-Koreans, mainly because of a language barrier. However, those that do interact with people outside of the Korean community — most often second generation North Korean migrants — seemed to experience confusion because of the discrepancy between what they hear about North Korea from their families and community and from the British media. North Koreans living in the UK experience marginalisation, with substantial language barriers- creating distance from the general British community and ambivalent, stratified relations with South Koreans, leading them to leverage different elements of their identity in order to secure work, social support and manage the emotional strain associated with being separated from loved ones. Participants in this research recognised themselves as a minority and, thus developed a tight-knit but somewhat isolated community, working to instil North Korean identity in their community and their children through language and education, who struggled to negotiate their identities within a broader community of Korean expatriates. This number of population is approximately estimated by the Korean residents and Korean associations in New Malden. The exact number is not calculated and differs by the sources. According to Lee and Woo(2014), many of South Koreans in New Malden are floating population, and North Koreans move to New Malden after they are allocated to other cities, thus the number of population is difficult to estimate.